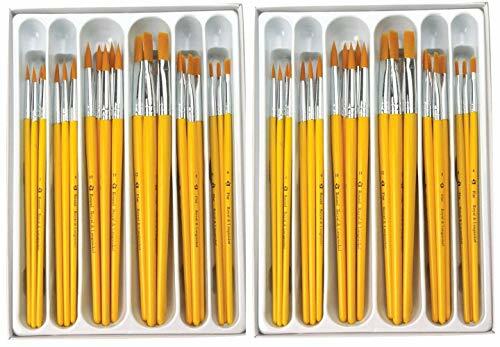 Royal Brush Classroom Value Pack with 30 golden taklon brushes including 5 each of sizes 3, 6 and 10 rounds and sizes 4, 8 and 12 flats. Value pack is economical and lets you choose from the six sets as desired. 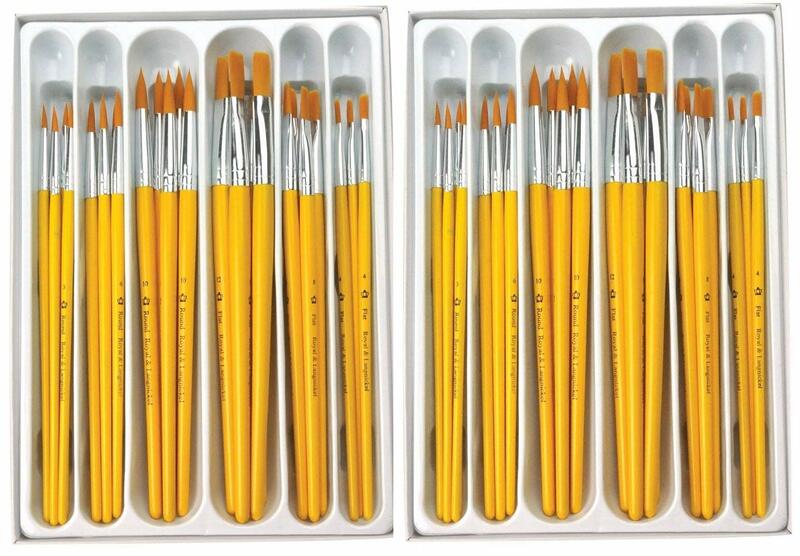 Durable brushes are perfect for tempera, watercolor or acrylic painting and ideal for craft projects in small AP classes. Sold as 30 per pack.